Worth Premier Filter Grill 20 x 20 Discounts Apply ! The Worth Premier return air filter grille arrives primed and ready to paint. These wood vents have a Poplar faceplate with steel backing that holds the 1 inch filter (sold separately). Return air filter grilles help to reduce dust and other irritants in your home or office. The 20" x 20" wood vents have a drop-in depth of 3 inches. This return air filter grille can also be purchased in the Worth Architectural Series that is suitable for staining. These wood vents are a breeze to maintain, simply damp wipe as needed. Return air filter grilles typically ship within 1 week of ordering. Worth wood vents are considered a special order item. A 20% restocking fee is assessed if you need to do an exchange or return. 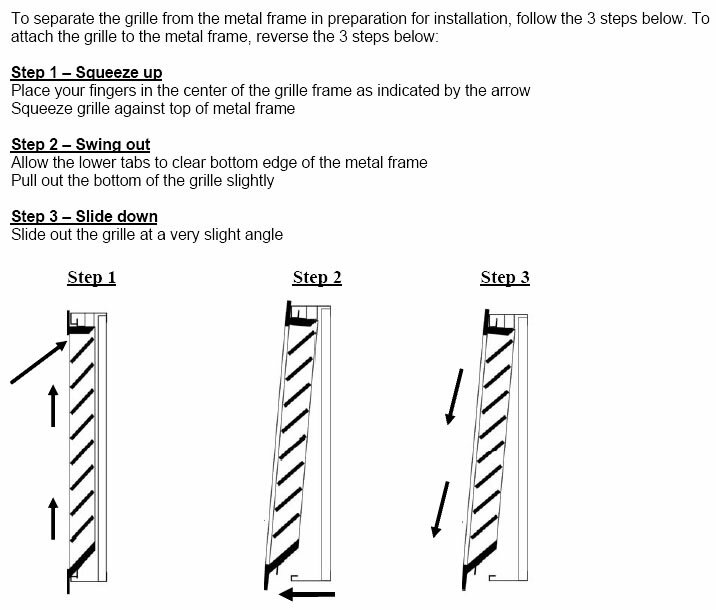 To remove the faceplate of the wood vents for filter maintenance you can refer to this instructional guide. 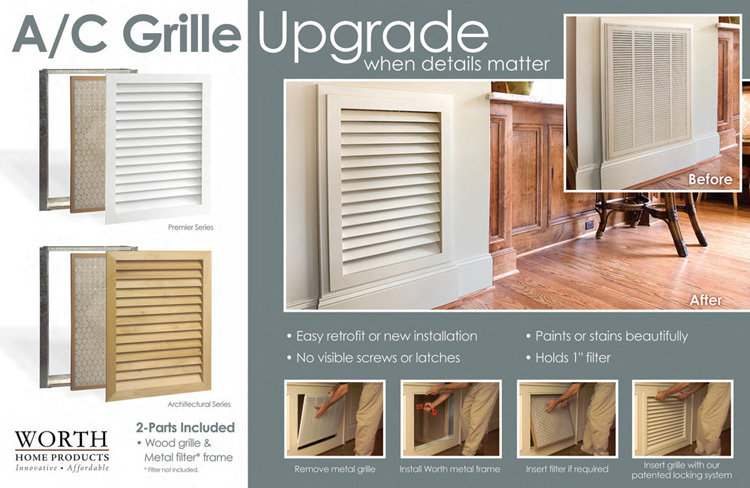 Order today to replace your old steel filter grilles with these beautiful wood filter grilles; they can be painted to match any color.